Being a massive Game of Thrones fan, I was incredibly saddened by the idea that Season 5 was already drawing to a close. When my friend @sloppyswatches suggested a Game of Thrones (GoT for short) collaberation to commemorate the finale, I was thrilled! However I must admit my artistic skills leave something to be desired – so I fell back onto something that I love; stamping. Here’s what I came up with! More on this mani and the products I used after the break!! So I knew there was no more perfect polish for this mani than Zoya Sansa. I mean the name! Plus it’s gorgeous. It’s a deep purply-eggplant with this gold shimmer that just knocks your socks off. A real stunner. 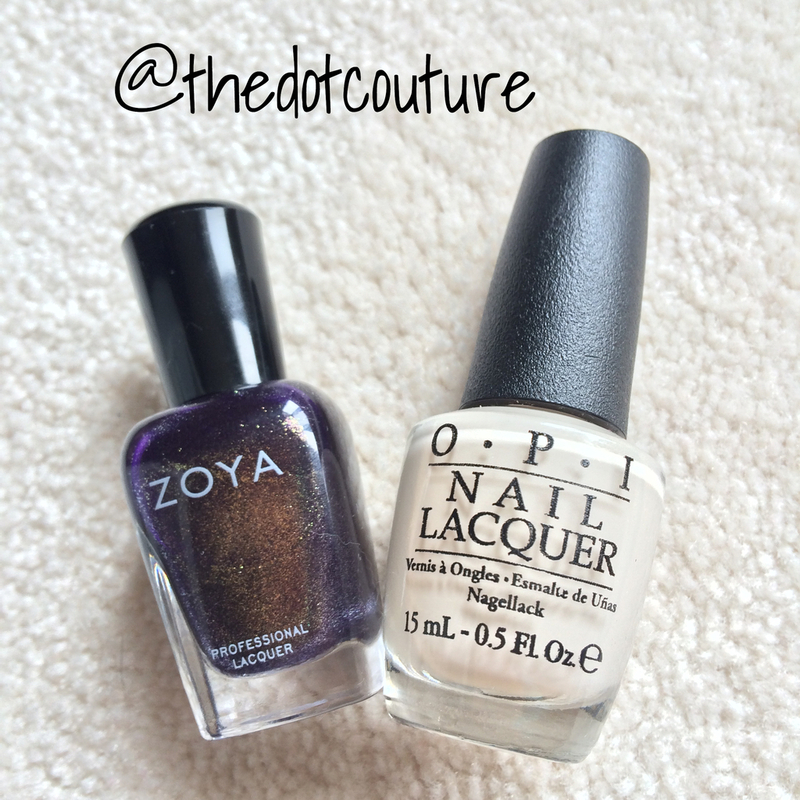 It’s from their Fall 2014 Ignite collection and you can buy it directly from the Zoya Web site HERE. The base for the stamping was OPI My Vampire is Buff and it’s one of my favourite polishes for 3 reasons: It’s a dream to work with formula-wise, it’s less harsh than your typical white when you are doing nail art over it, and I’m a GIANT Buffy the Vampire the Slayer fan. The biggest. I wanted to soften the base for the Daenerys and dragon art (I realize that’s actually a dinosaur stamp but it’s all I had to work with! To quote Tim Gunn; “Make it work!”) so I stamped using M Polish Gilded and an image on MoYou Princess Plate 14. 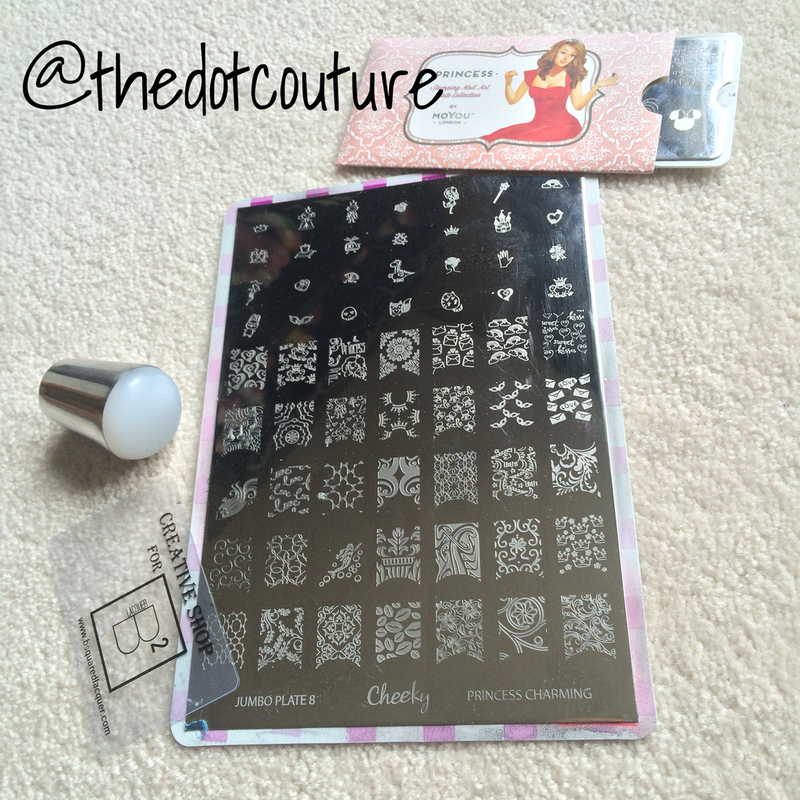 M Polish is a 5-free handmade stamping polish and it is amazing!!! Gilded is from her newly released Metallic collection and you can buy it HERE. You can also follow her on Instagram at @mpolishes for restock info, new collection sneak-peaks, and beautiful reposts! With a very tiny nail art brush I painted in details on the stamp using Primarily Yellow, Chromatic Orange, Pen & Pink, and Purple Perspective. and of course yours truly, @thedotcouture!!! What do you think?? Well there you have it. I will be watching tonight’s finale with my perfectly manicured hands completely covering my eyes (because you KNOW some crazy stuff will go down). Thanks for an awesome season GoT, I will wait impatiently for your return next spring!!!!! 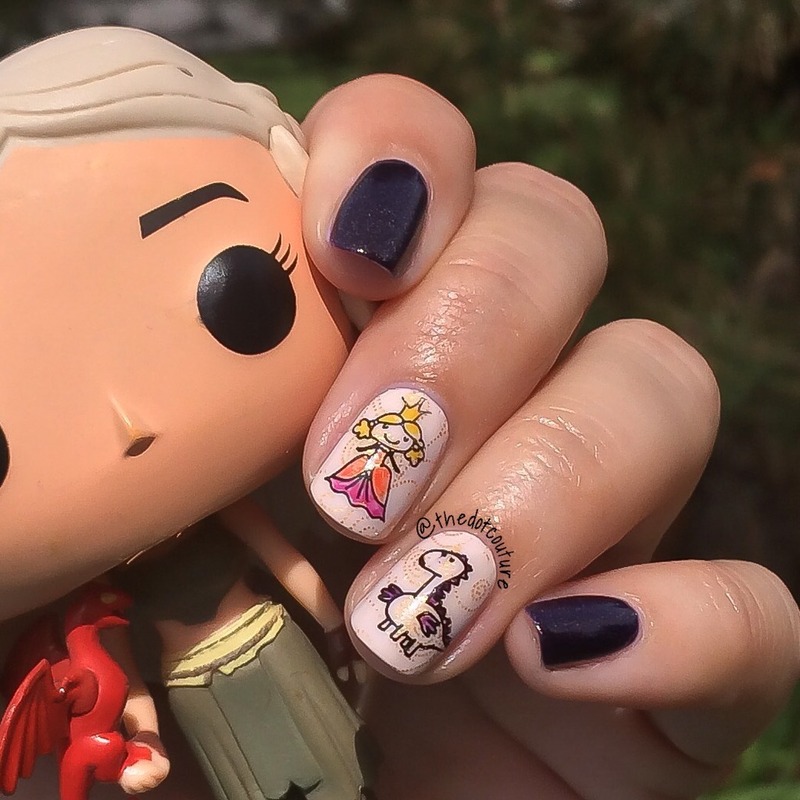 #Team Daenerys!!!! Love these, such an adorable take!! Thank you hun! I love yours and thank you for doing the collage!!!! 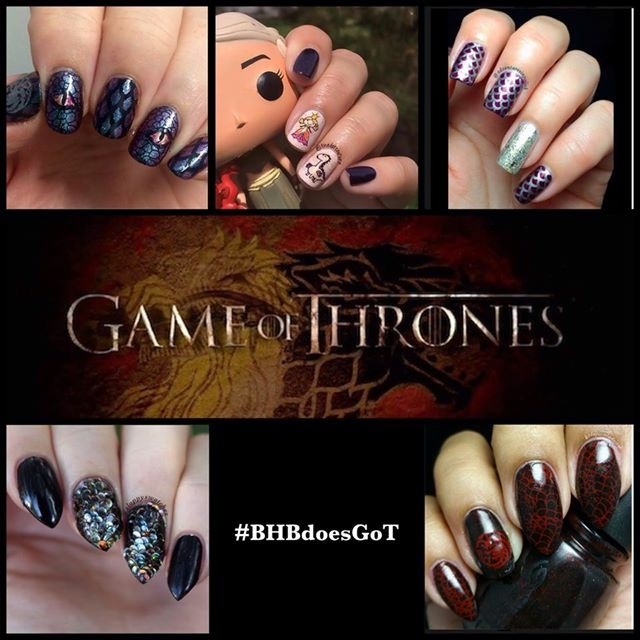 Awesome post and awesome nails! I had so much fun with this! I thought your mani was such an adorable, original take on the theme. Thank you!! I loved yours as well!! This is so cute, I love your thinking!! #TeamDragons!